Working at WMG is quite different to many academic departments. Warwick itself is not typical of many universities. 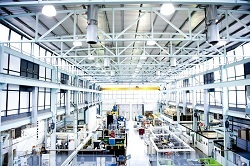 It has a reputation for innovation and doing things differently; you could say that WMG has taken this philosophy to its extreme. Although staff who work for us enjoy all the typical benefits you would expect from a top UK university, WMG thinks and operates much more like a medium-sized business. We have over 500 staff and associates who support our work; in company terms, we are quite a significant size. In fact we're one of the largest departments in the University both in terms of number of employees and our research income (we contribute around 25% of the University's total research income). Our staff are well supported with an efficient structure, but this leaves lots of room for everyone to exercise their creativity. We encourage everyone to use their imagination and contribute towards pushing the Group ever forwards. There is often the opportunity to get involved with projects that might normally be considered outside of a standard job description. There is good interaction between research, technical and administrative staff and expertise is shared around the Group according to need. There are lots of opportunities to get involved with how the Group operates: we run frequent workshops and seminars with staff in order to share ideas and solve problems together. Our office space is among some of the most modern in the University with a mix of open plan and private offices. We also run education and research programmes in seven overseas centres: India, China, Malaysia, Singapore, Thailand, Turkey and Cyprus. Some of our staff travel extensively overseas as part of our international expansion. Perhaps the best way to find out what it's like at WMG is to read what some of our staff have said. 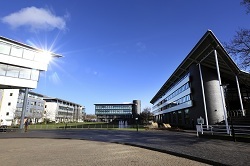 Staff, students and visitors to campus will discover a wide variety of excellent facilities which serve to enhance the working environment and to support wellbeing both within and outside of the workplace. 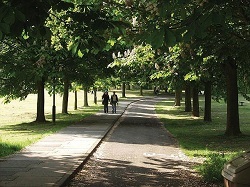 The campus community benefits from the green landscaped setting of the University. The site offers several picturesque walking, running and cycling routes which incorporate scenic parts of campus including woods, lakes and natural wildlife areas. The University Sports Centre provides access to a recently refurbished gym, a 25 metre swimming pool, a competition standard climbing wall, an indoor Tennis Centre and various tracks and sports pitches around campus. The University's Library, which is open 24/7, provides a deep knowledge base and is available to staff with a vast collection of physical and multimedia resources and a connection to wide networks of publications. Across the campus there are many dining and refreshment outlets, all within walking distance of WMG buildings, and offering excellent value-for-money. The variety of outlets include coffee shops, sit-down restaurants, takeaway vendors, bars and pubs and fine dining options, depending on the occasion. The University campus provides a range of retail outlets which offer a convenient work and study environment. These include an on-campus supermarket, a Post Office counter, a Health Centre and Pharmacy, bank branches and ATMs and the University Bookshop. 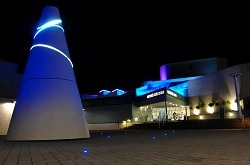 Warwick Arts Centre is one of the main local attractions on the University campus. The Centre is a multi-venue arts complex - the largest of its kind in the UK outside of London, attracting around 300,000 visitors per year and it is a regular stop for a wide variety of productions. During the working day, the Arts Centre provides an attractive facility for refreshment and meals, offering both a cafe and a Mediterranean style restaurant.